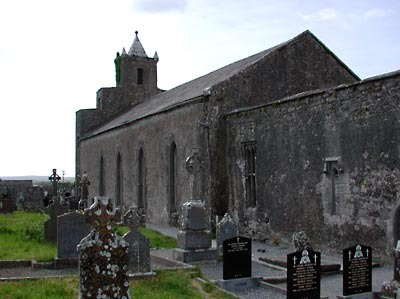 Instead of following the N67 all the way back to Lisdoonvarna, we turned off the main road and took a minor road towards Kilfenora, a small village in the central Burren with a 12th century cathedral, probably the smallest cathedral you are ever likely to see. 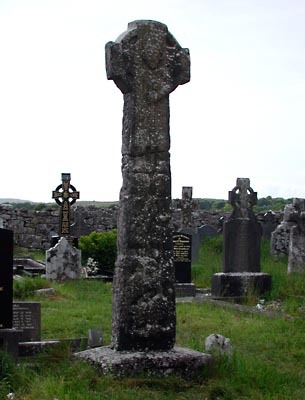 Three famous high crosses are located in the church yard. 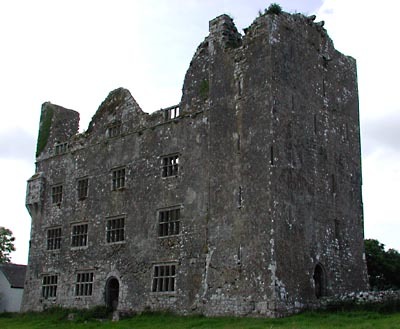 On our way back towards Ballyvaughan, our next stop was Leamanegh Castle. While the castle is quite well preserved, it is located on private property and access is unfortunately not allowed, so all I could do is take this picture from the road. 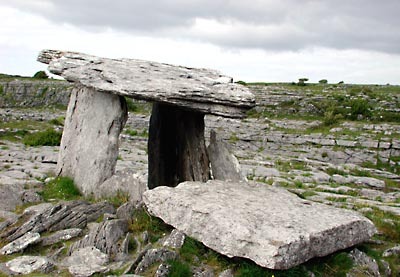 Poulnabrone Dolmen, one of Ireland’s most photographed ancient monuments, was our next stop. 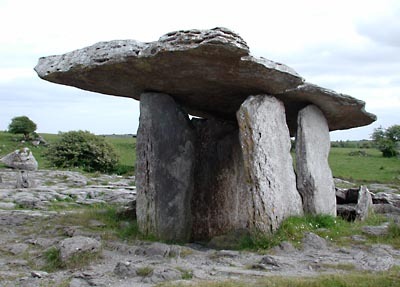 The dolmen was built over 5000 years ago as a grave for more than 25 people. When the dead were burried, presumably some time between 3800 and 3200 BC, the structure was covered in a mound of earth. 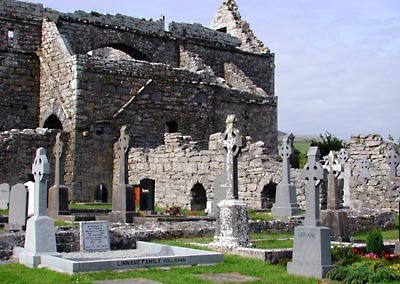 In Ballyvaughan, we got back onto the N67, now heading for Galway. 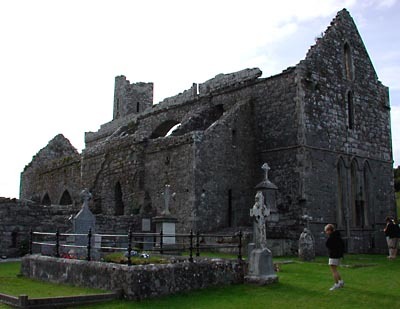 After a short drive, we stopped one last time for the day at Corcomroe Abbey, a former Cistercian abbey founded in 1194. Since it was getting late and we still wanted to get to the Connemara that night, we had to stop for dinner in Galway. We eventually decided on Ming Garden on Eglington Street (recommended). 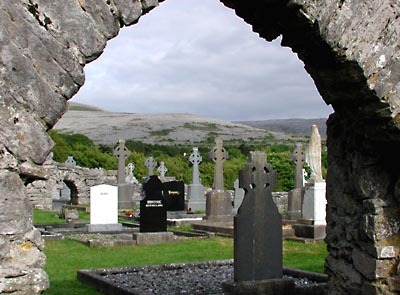 After leaving Galway on the N59, we soon came into Oughterard. While driving through town, we did not immediately spot a suitable accommodation, so we took a slight risk by staying on the N59. The road took us out into the heart of the Connemara. After a 20 mile drive, we spotted a sign advertising the “Lake View B&B” (?) in Recess. Following the sign, we eventually arrived at a different B&B, the Radharc Mamean, at about 10pm. 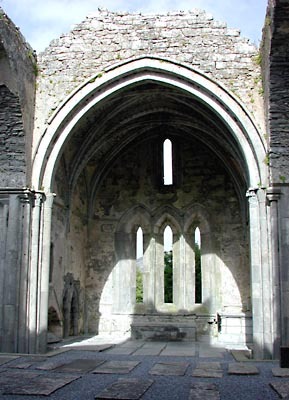 Luckily, we still got a room, sparing us from either driving another 20 miles to Cliffden or turning back to Oughterard. In the end, this turned out to be my favourite B&B of the whole vacation.